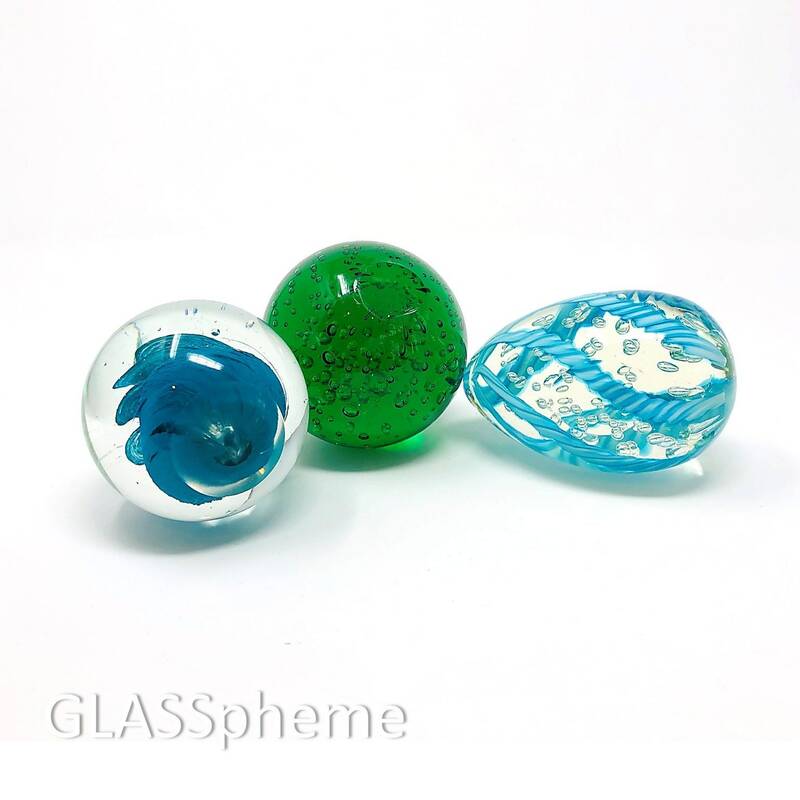 I bought these beautiful glass paperweights in a large lot of Murano glass at auction, but I don't know A THING about paperweights, so I'll leave that to the knowledgeable collector to determine... I can say that these are pretty cool looking pieces! 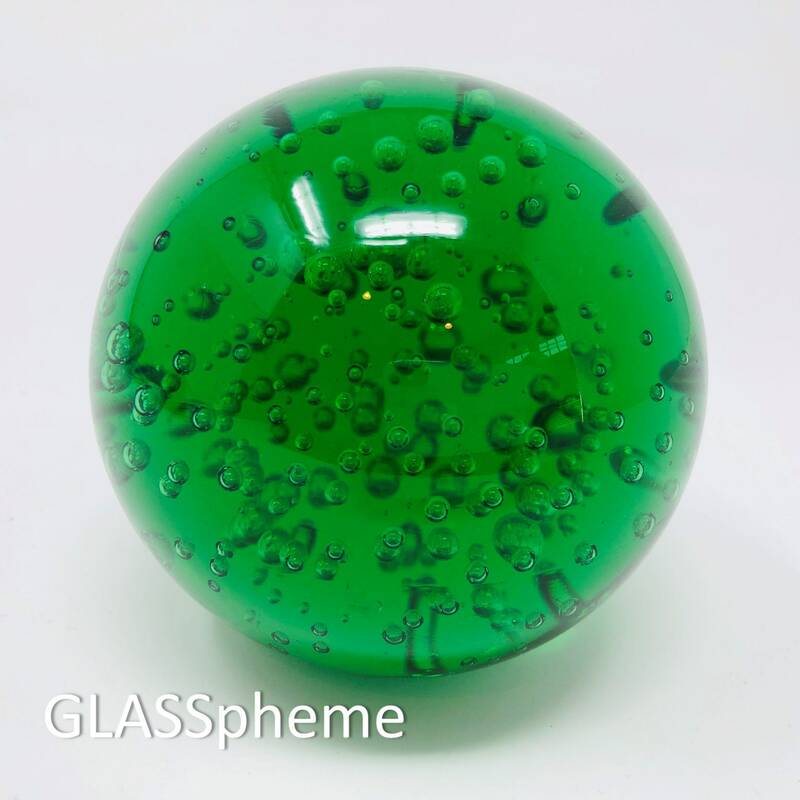 The largest of them—the green one—is roughly 3.5" tall and contains an explosion of different sized bubbles. The base has a slight trace of the pontil and shows minor wear. 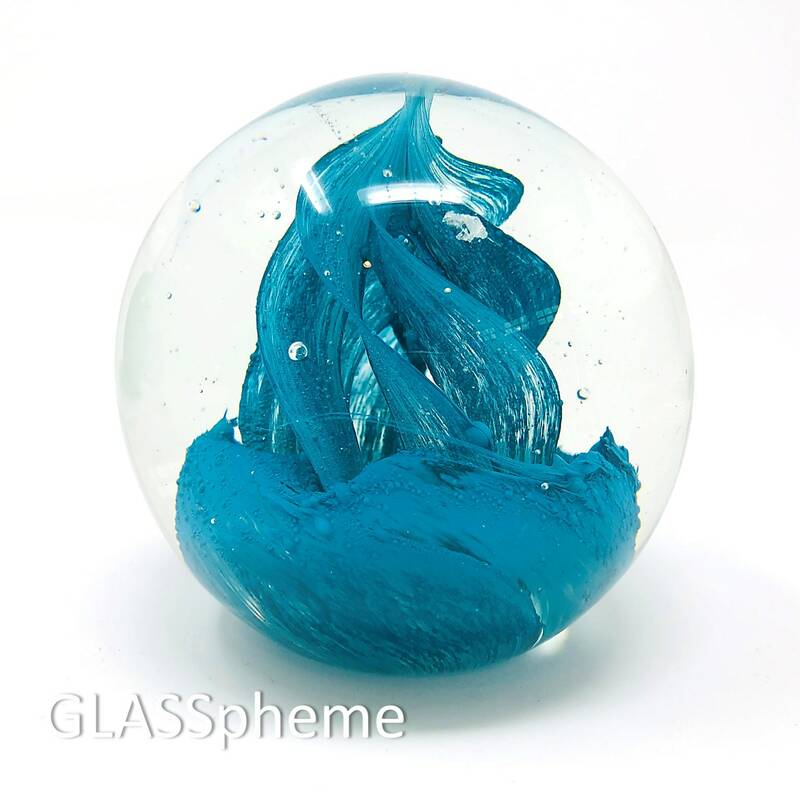 The second round paperweight, roughly 3" tall, encases a blue and green swirl emerging from a similarly colored and textured blob (for lack of a better description). The base shows some wear as well. 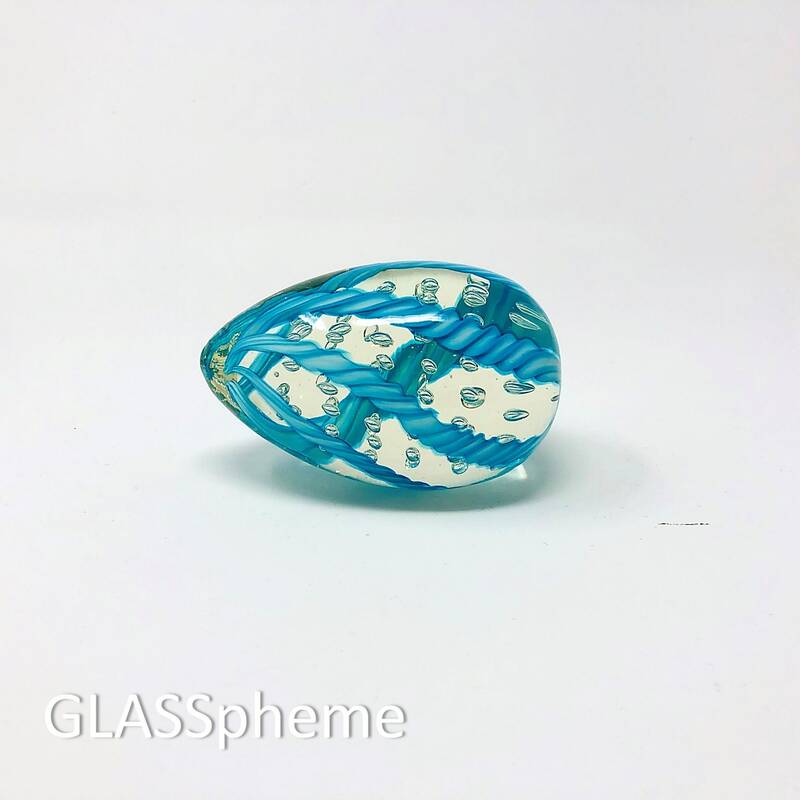 The third oval paperweight, done in crystal riddled with bullicante/controlled bubbles features blue and white twisted ribbon. It is 4.5" long and roughly 2.5" tall and wide. This piece is mint and seems quite recent. In all, a beautiful set in minty condition. Condition: Age-related base wear, otherwise perfect.